A great set of Food! 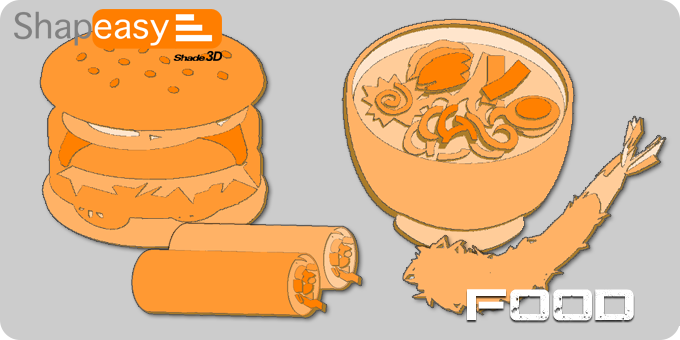 Ramen, Hamburger and more! Bon Appetit! 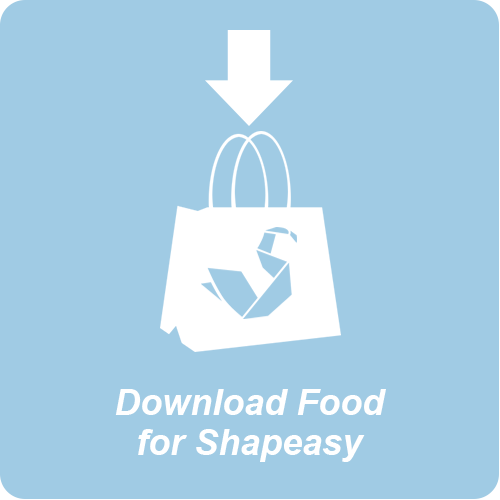 Open the Shapeasy file (.shdez) from the File menu. - Windows users: "My Documents > Shade3D > Shapeasy ver.1 > Template"
- Mac OS X users: "Local Document > Shade3D > Shapeasy ver.1 > Template"